Smart City and Digital Signage go hand-in-hand and lots of cities are looking at new infrastructure. We track those. These days that means smart transit, smart transportation, smart lighting, automation, EV vehicles, Self-Driving. It’s a big basket for sure. Part of IoT trends in self-service. 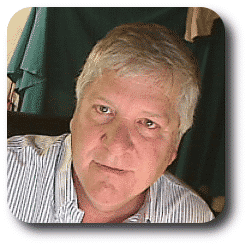 Craig is a senior staff writer for Kiosk Industry Group Association. He has 25 years of experience in the industry. He reviews Smart City and Smart RFPs from around the industry. Kansas City Comprehensive Smart City Partnership with Kansas City, Missouri. The City seeks to partner with a firm to provide a fully integrated suite of sensors, networks, and data and analytics platforms that will result in the City becoming the first true Smart City in the world. Due Date: Extended to August 7, 2pm. Oct 15 Nokia Demos Smart City in Hanoi – Nokia ran a trial of a smart city management platform in Hanoi to show off its real-time automation and analytics capabilities to Vietnam-based Viettel, a military-run mobile operator. The 9.6 billion people expected to live on the planet by 2050, and with 70 percent of them in urban areas, IoT is pushing smart agriculture in smart cities. 4/9/18 — announced last week the city’s plans for LinkNWK, a communications network of sidewalk kiosks that will provide residents and visitors of Newark with free gigabit Wi-Fi, mobile device charging, free phone calls to anywhere in the U.S., access to municipal services, maps and directions, and real-time local information on city streets. There will be no cost to taxpayers or users as it is supported through advertising on the Link kiosk displays. City council is mulling a resolution that will allow New York City-based Smart City Media LLC. to install about 25 digital kiosks to provide information to residents and tourists. These kiosks – called CityPosts — will stand about 8-feet tall and have 55-inch screens on both sides, chief marketing officer Mike Mainthow said in a phone interview today. LinkNYC Will Show Bus Arrival Time Info — LinkNYC’s 55-inch screens in those Brooklyn neighborhoods will now show arrival info for buses that are a short walk away from a particular kiosk. The company is now building “smart city” infrastructure near Denver, Colorado, with the goal of turning the area into a “smart city” by 2026. The initiative is part of a larger Panasonic program Panasonic called CityNow. Although the definition of a “smart city” varies depending on who you ask, the term typically describes a metro area that prioritizes the use of technology in its infrastructure. Who Will Own The Infrastructure In The Smart City? The smart city was a major theme at the 2018 Consumer Electronics Show (#CES2018), hosted by the Consumer Technology Association. 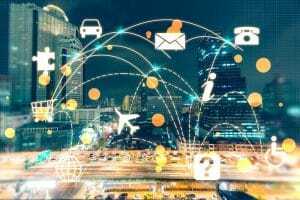 Part of the smart cities movement includes managing how people travel and use the transportation network, as well as how cities collect data from vehicles and group travel patterns for better land use and transportation policy decision making. Interconnected technology is now an inescapable reality – ordering our groceries, monitoring our cities and sucking up vast amounts of data along the way. Jun 19, 2017 – When envisioning all the possibilities of smart cities, it’s also important to consider the difficulties that could arise in creating them. Here is one for public safety circa March 2018 in California. enhance the urban environment through the use of smart city technology. For this Request for Proposals (“RFP”), the City seeks up to four Firms/Teams that can implement and demonstrate how camera, video, motion, and other sensor technology can be an effective tool in addressing public safety. Working in collaboration with the City and the xxxxxx County Sheriff’s Department, these Firms/Teams will demonstrate solutions that can enhance public safety in the City. This pilot project will allow the City and the SD to assess the utility, data management needs, cost effectiveness, and overall success of a smart city public safety program that could be scaled citywide in designated areas of the City. The size and density of the City, along with its large visitor population (especially during special events) provides a great environment for the testing and implementation of cutting-edge public safety technology. Up to four Firms/Teams will be selected. protect privacy, such as use of anonymized data and real-time image scrambling.